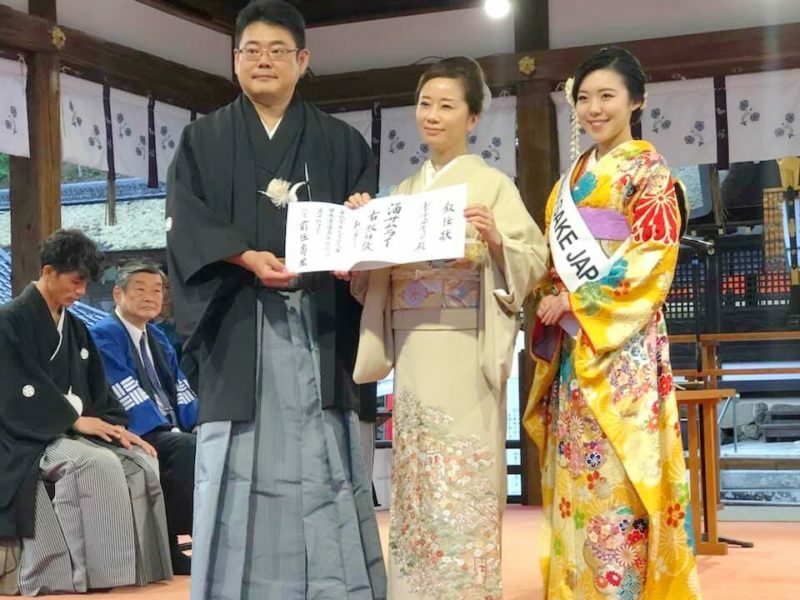 1 Asami Sudo, 2018 Miss SAKE, attended the inauguration ceremony of the 13th SAKE Samurai at Matsunoo Taisha Shrine. 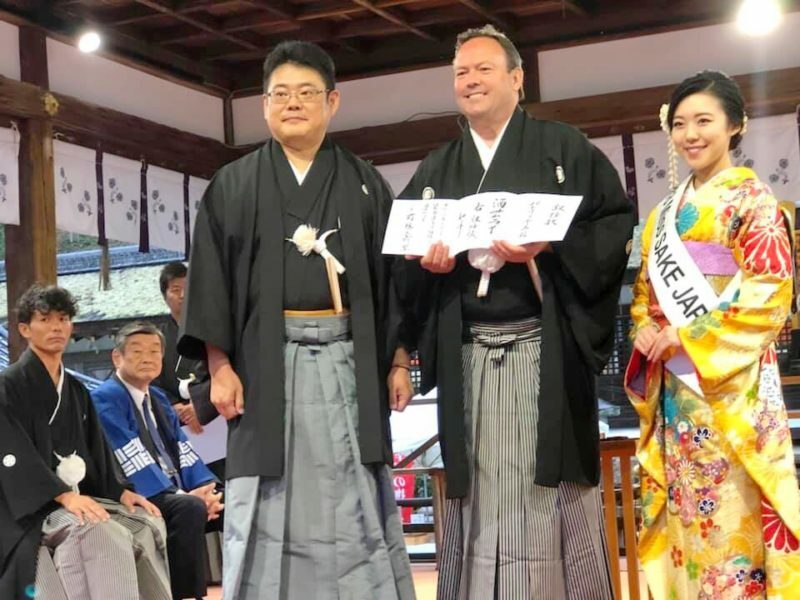 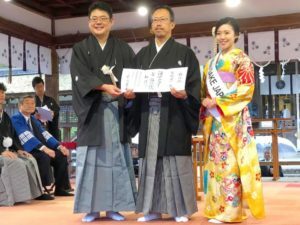 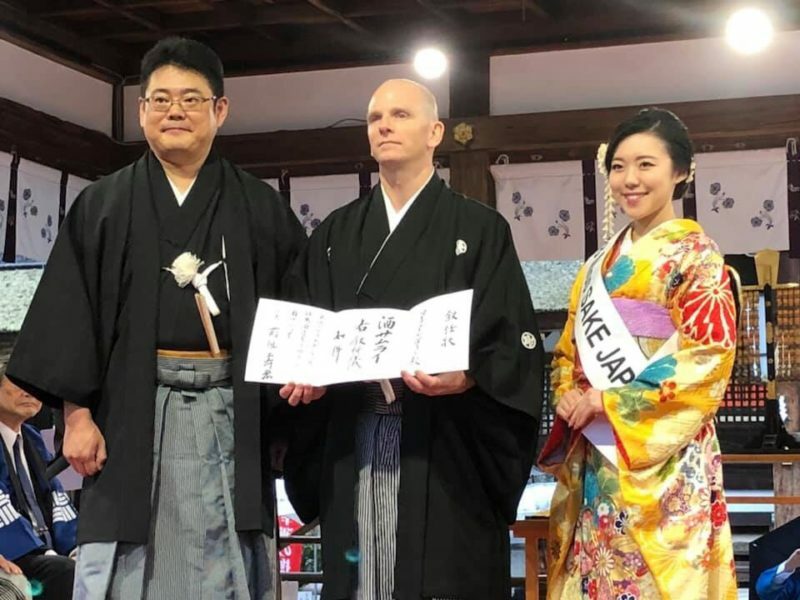 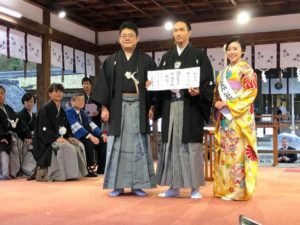 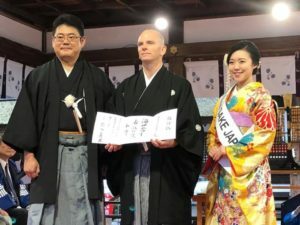 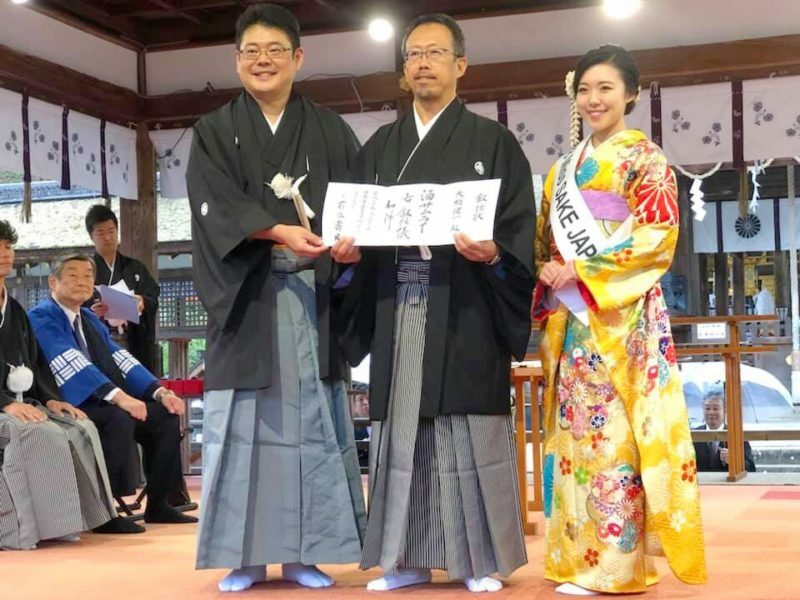 Asami Sudo, 2018 Miss SAKE, attended the inauguration ceremony of the 13th SAKE Samurai at Matsunoo Taisha Shrine. 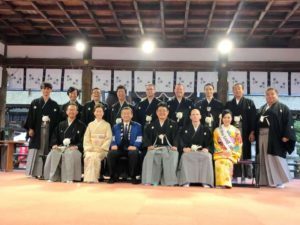 On September 26th, I attended the inauguration ceremony of the 13th SAKE Samurai at Matsunoo Taisha Shrine. 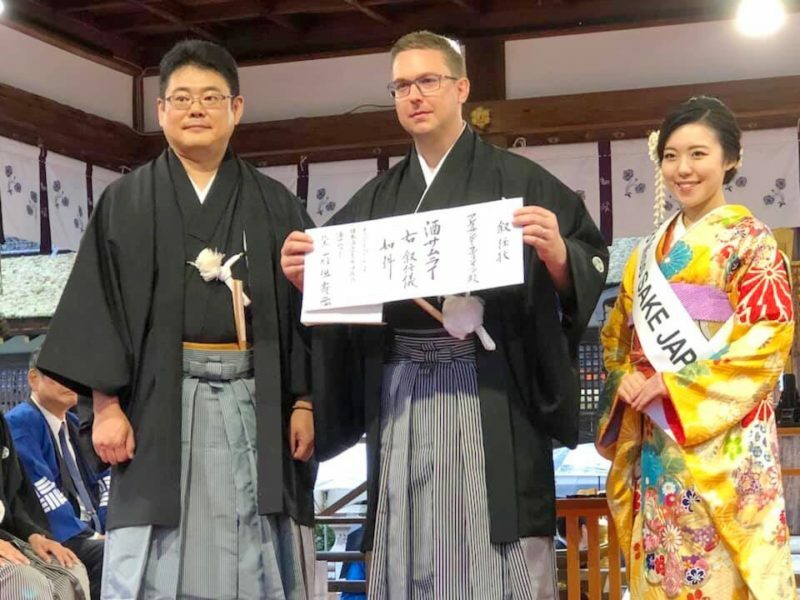 SAKE Samurai Project started in 2005 by Japan Young SAKE Brewers Association to develop the SAKE culture inside and outside Japan. 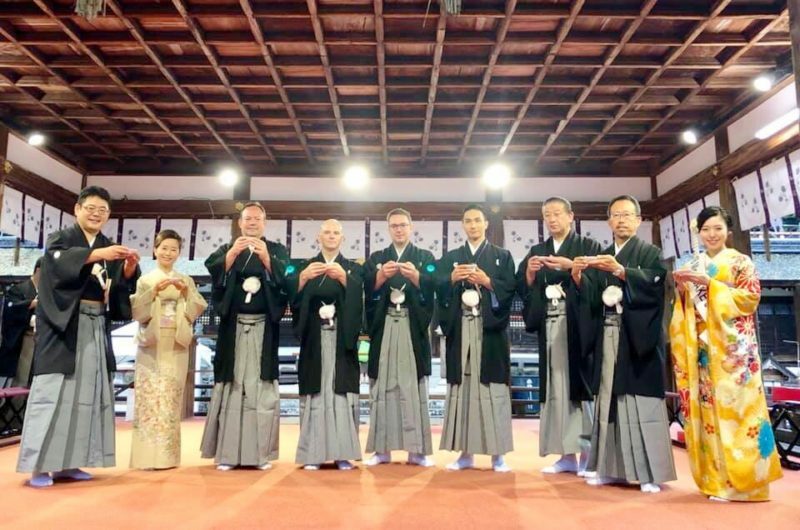 This year, 7 people who have made great contributions to the development of SAKE were inaugurated as the 13th SAKE Samurais. 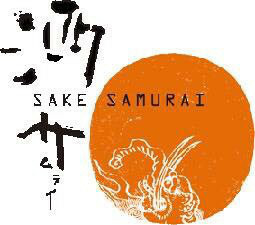 The new SAKE Samurais are as follows. Mr. Kenichi Ohashi, President of YAMAJIN CO., LTD. 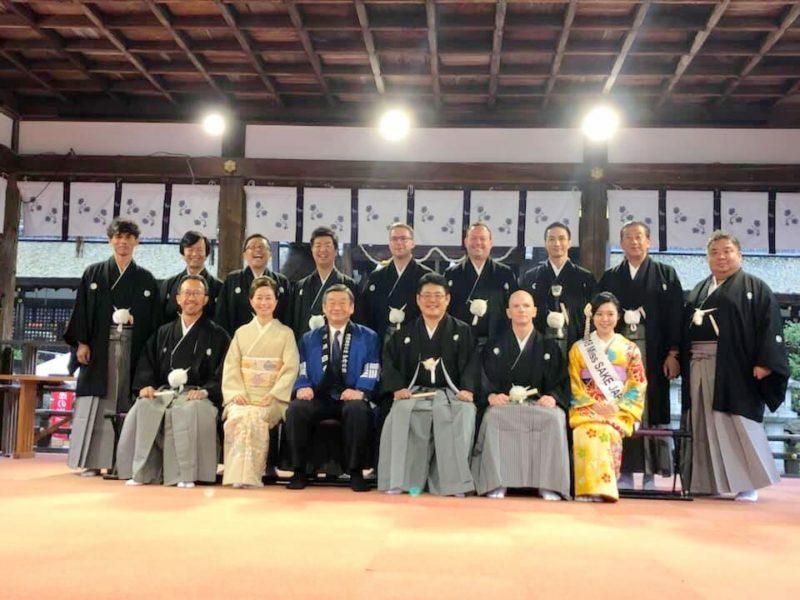 I extend my congratulations on the new SAKE Samurais and wish them continued success. 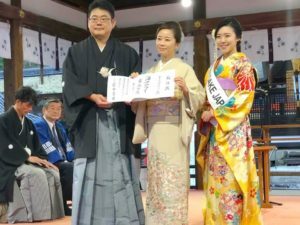 It was an honor for me to attend the splendid ceremony. 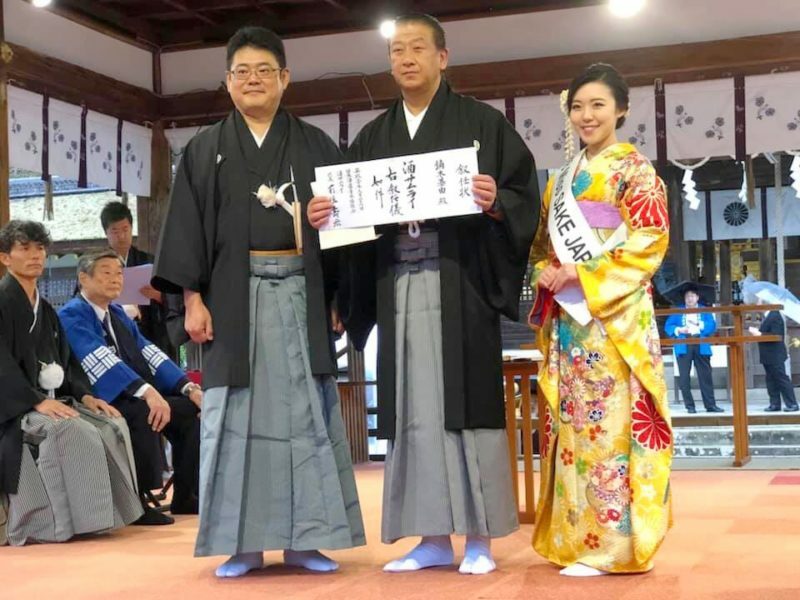 I extend my deep appreciation to all the people involved in the project.